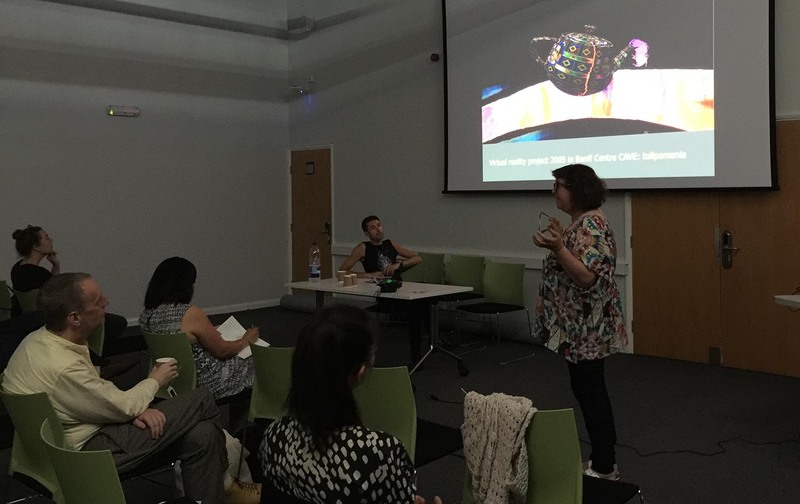 Anthony Head and Leila Sujir presented their research on Elastic Space at the 2017 Besides the Screen conference at Coventry University in July 20-22nd. 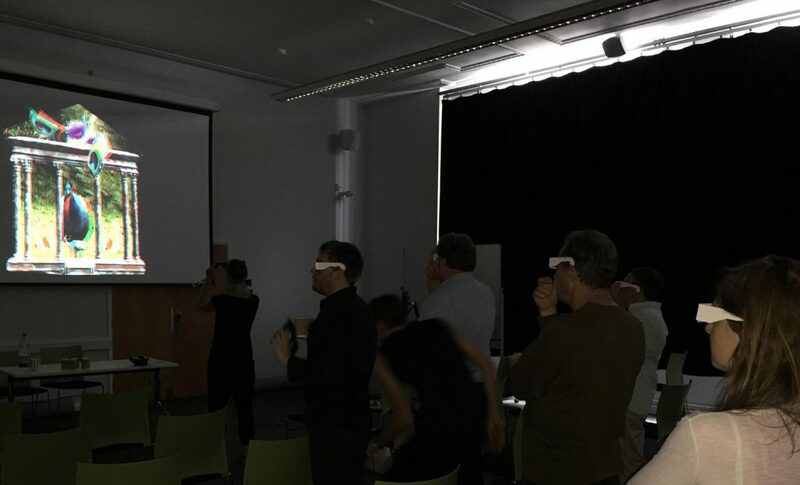 The conference was a mix of film studies, philosophy and art practice and participants were able to experience the Leila and Anthony’s presentation with 3D anaglyph glasses. The presentation included a number of projects including Elastic City Spacey (Sujir 2015), Tulipmania (Sujir 2005) and iMigration (Head 2016). Leila Sujir also discussed her recent visit to British Columbia, CA, filming in ancient forests for a new project. It was interesting to discover how other presentations also shared Elastic Space themes, including migration, projection and old technologies. Besides the Screen is an AHRC International Networks funded event. 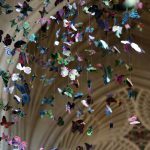 In June 2016 Anthony Head’s sculpture was featured as part of the UK’s Forest of Imagination event (www.forestofimagination.org.uk), in Bath. 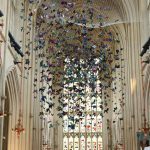 The project was called iMigration and featured a swarm of butterflies, suspended in the middle of Bath Abbey. As the title suggests, the work was about the topic of migration, about how the subject is often reported in the media as statistics without reference to individual stories, and thus creating an impersonal viewpoint of the people who travel from one country to another. 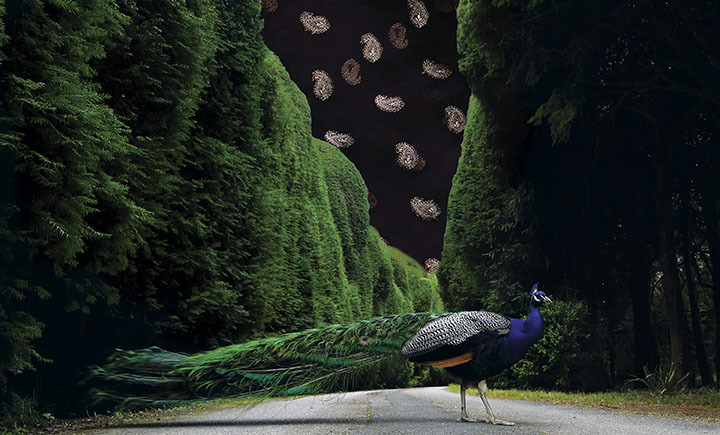 In the sculpture, the viewer is presented with a mass of creatures, but it is only on closer inspection that the individuality of each butterfly. 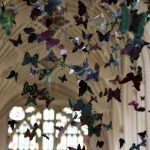 Each paper printed butterfly is different, uniquely created with digital techniques. 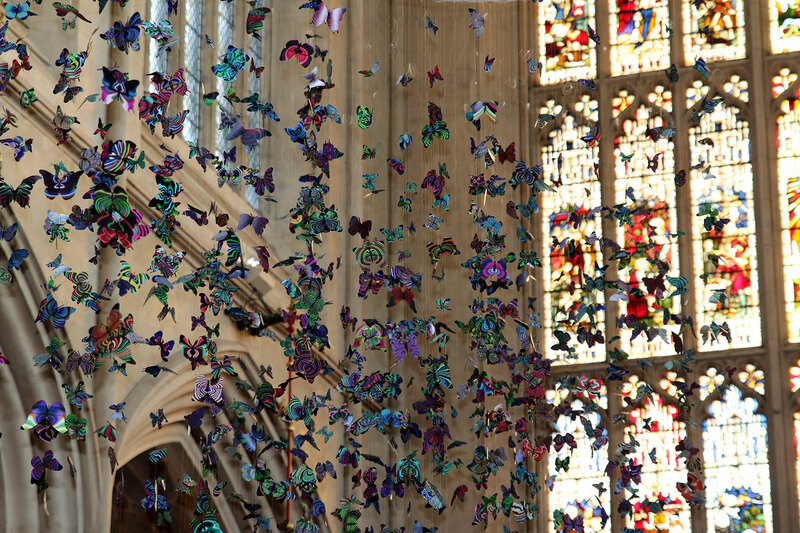 The work is suspended above head head and as such invites the viewer to move through the space below the butterflies. 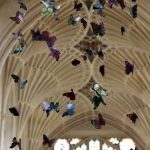 This is akin to the same ways people are invited to move in more virtual Elastic Space projects. 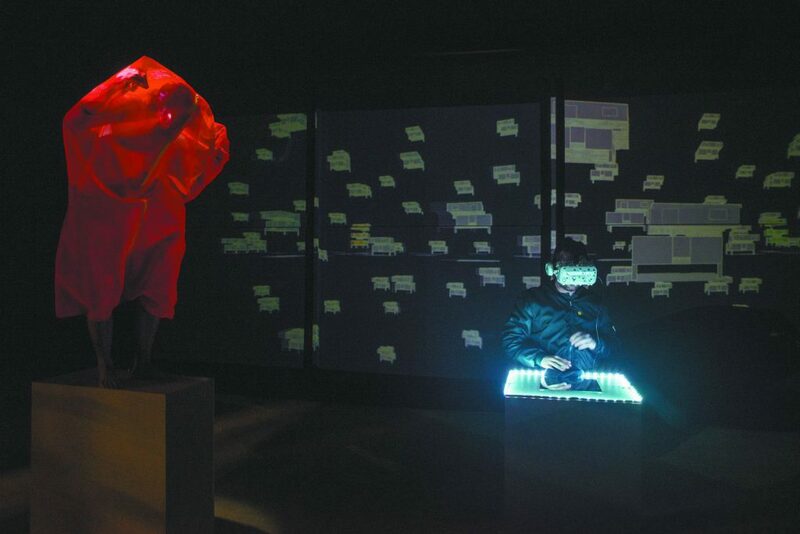 iMigration was exhibited for three weeks in June 2016, and will be reinstalled for a longer period in September 2016.